When I was little, playing outside, catching flowers, rolling in the grass and dancing was everything I wanted to do whenever the sun was out. Splashing water around and act like a crazy bird that flew all the way from Japan to Holland. So my parents took me to this magical playground called Het Twiske and the story continues. 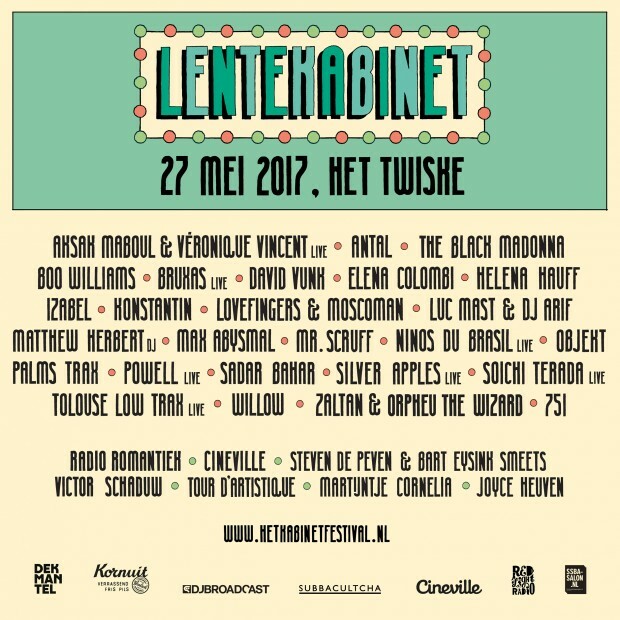 When I discovered a new playground there, called Lente Kabinet, it was like love at first sight. What could be better than dancing at a place where the sun shines so bright and the music is selected with lots of love and care? It feels just like my youth, but eith better music. Let me tell you about my love for the Japanese. Besides they make some delicious ramen (please check out Fou Fow Ramen), they can make music as well. A few years ago I heard a nice little melody, but because I was lazy and sleepy at that moment I didn’t find out where it came from or who made it. So when I bought my first vinyl from Soichi Terada, it surprised me it was the same. So basically my childhood and his music are teaming up together, I couldn’t be more excited! Besides Soichi Terada, my personal favorite Moscoman is hitting the decks. The first time that I heard him playing was at BAR in Rotterdam. He’s from Tel Aviv, and his sound, which takes in elements of techno, new wave, house, and the sounds of his native Middle East, are such a nice way to spend your evening with. Last week he played here as well, at Claire! Besides good music there is a cultural program as well, as the Dekmantel crew teamed up with cultural names like SSBA Salon and Cineville – so you’re movie heart can be pleased as well. Not convinced yet? Check out John Talabot’s gig at last year’s edition, and be sure to grab your tickets in time! Photo by Desiré van den Berg.